Protect your seat... and yourself. The Browning Seat Cover has gone undercover. It appears to be just a normal Seat Cover, protecting your seat from food, drink and general wear and tear. But it has a hidden secret. 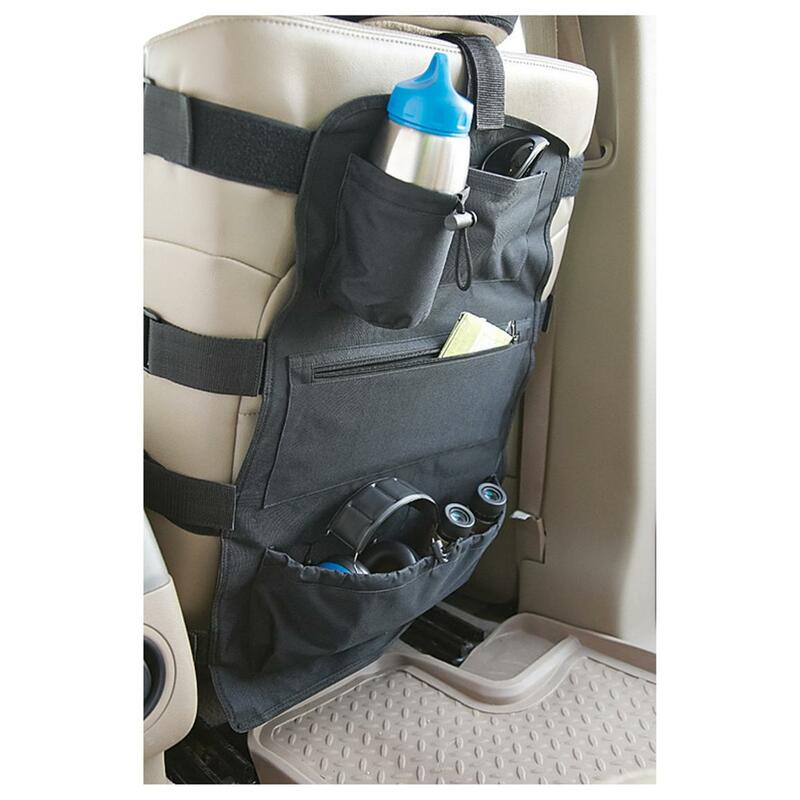 This Seat Cover is designed to keep your self-defense tools close at hand for unexpected emergencies. The front pocket completely opens with VELCRO® brand closure for quick and easy access. 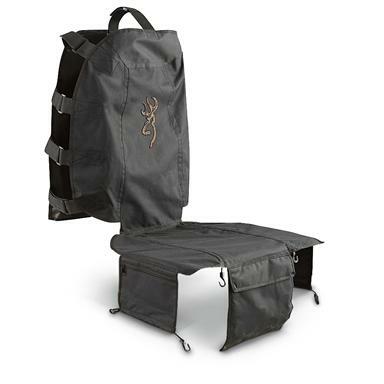 Plus, each side has a zip pocket for additional secure storage. The back features a water bottle pocket, grip-strip and zip gear pockets, and pouch with cinch string. 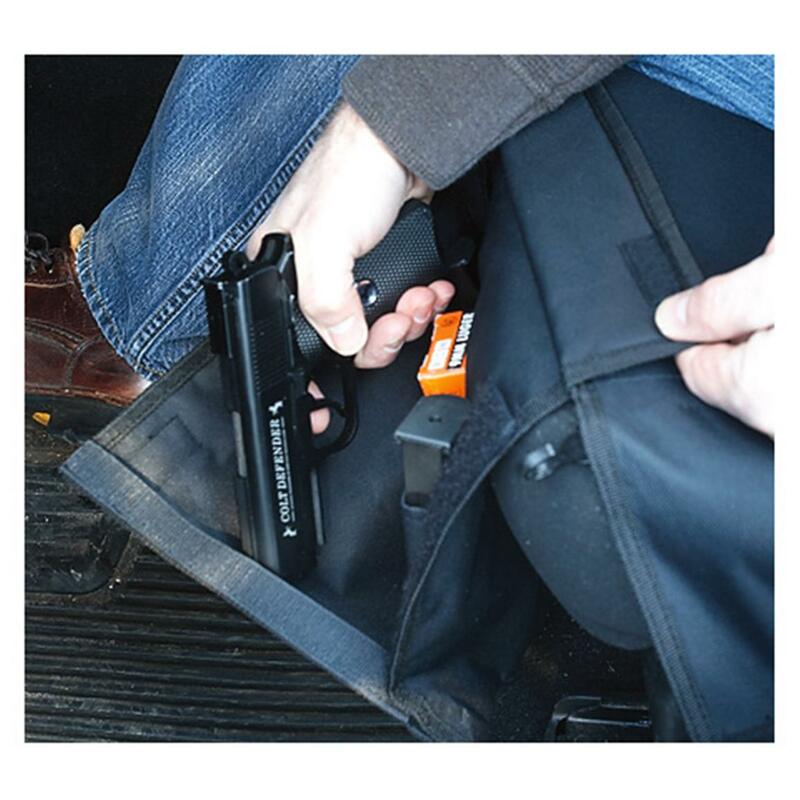 So you keep your seats protected, firearm concealed, and all your items in their proper place. Rear pouch with cinch string. 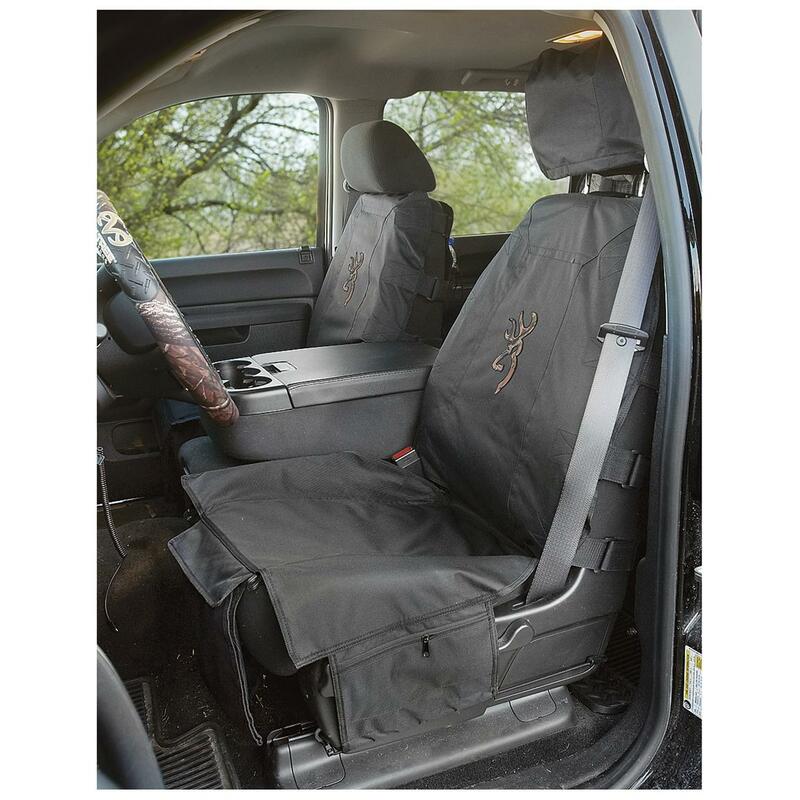 Protect your upholstery with a handy Tactical Seat Cover! Order today!